In a perfect world, we would only travel when the weather was perfect. But as we know, that just isn't going to happen. Traveling during the summer months in Europe will typically ensure better weather, but that sunshine also comes with more crowds and higher prices. If you want to travel off season, which I highly recommend, you don't have to let weather ruin your good time. 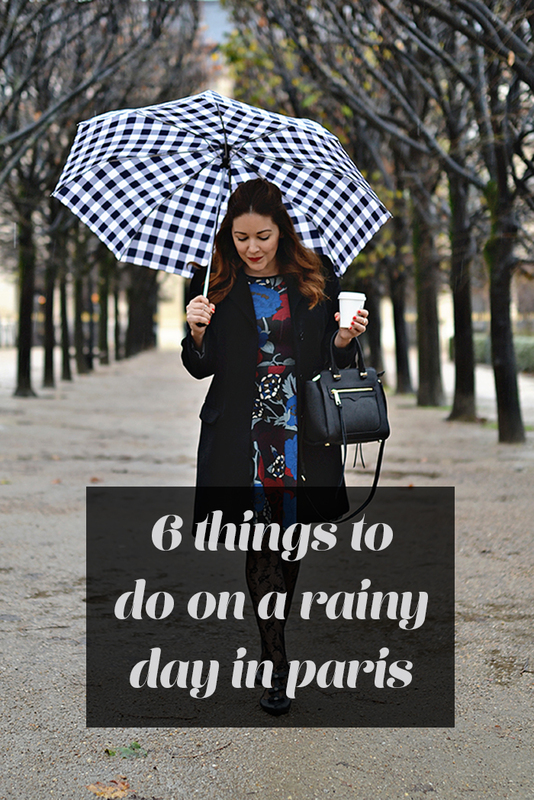 As Britt and I discovered on our trip to Paris last month, there are lots of things to do on rainy days in Paris! The catacombs of Paris are equally creepy and cool. Unlike the catacombs on Rome, they contain lots and lots of human bones (of about 6 million people). The catacombs were started in the 18th century to solve two of Paris's problems - over flowing cemeteries and frequent cave-ins. The millions of bones placed in networks of old mines soon became a curiosity for travelers and have remained so today. The arrangement of the bones is also striking, some might even say they are artistic and beautiful. It is definitely a unique (and dry) experience. Believe it or not, Paris's sewers have a long and fascinating history. The city constructed its first sewer in the 14th century but it wasn't until Napoleon III that the modern day sewer system was born. Like the metro, Paris pioneered the idea of underground waste and water management. It might be a smelly tour, but it is definitely fascinating to explore some of the early parts of Paris's still-functioning historic sewer (there is also a museum). Modern day travelers aren't the only ones annoyed by Paris's temperamental weather. Throughout the 18th and 19th centuries, enclosing small shopping streets under glass roofs became a popular means to weather-proof a day spent shopping, dining, or sneaking away for something a bit more sinister. Today these historic covered arcades are hidden architectural gems full of shops, antique stores, book stores, and cafes. There are quite a few left in the city, you just have to know where to look! Most are on the right bank and relatively clustered together, making it easy to visit many of them in the same day. There is a great guide here. Paris has some of the greatest museums in the world, which are perfect for bad-weather days. Both the Louvre and the d'Orsay have great restaurants, cafes, and wifi. There is even a shopping mall underground connect to the Louvre. If you can, try to plan your museum visits for the days with the worst weather, and to save money and time, you can purchase a museum pass. And here is one of my best Paris tips: there is a tobacco shop in the underground shopping area of the Louvre that sells tickets and museum cards and, unlike the main entrances, they rarely have a line! Britt and I loved the cat cafe! Such a wonderful idea. Fill a cafe with adorable rescue cats and let people love them and play with them. It really is a win-win. Take my word for it, cake and coffee taste even better with sweet kitty cuddles. Just make sure you book ahead, reservations are required! You can check out their website here. When all else fails you can indulge in one of Paris's greatest pastimes - fashion! I think it goes without saying that the city has amazing shopping. The big department stores Galeries Lafayette and Printemps are perfect for rainy days (again they have it all, coffee, food, and wifi lol). Remember, Paris is always a good idea, rain or shine!